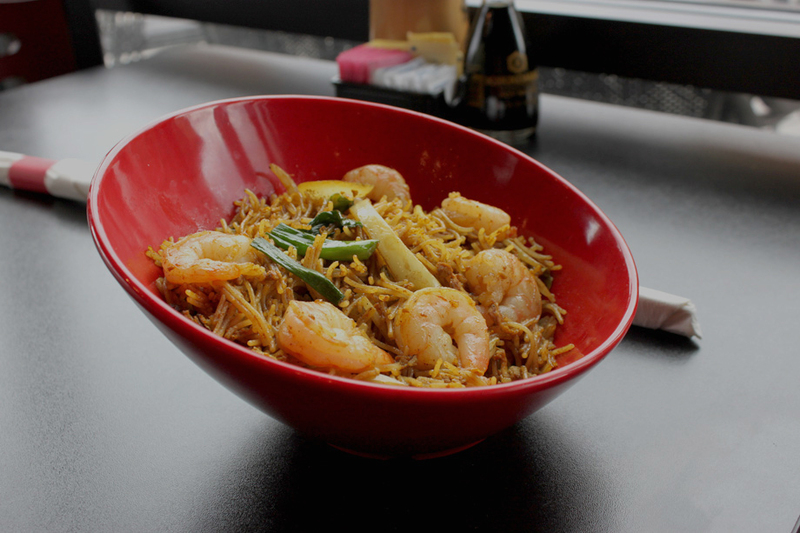 Bamboo Bistro offers Asian-style cuisine. Now delivering in North and South Austin locations. Filled with cabbage, carrots, served with sweet chili sauce. Fresh shrimp with noodles wrapped in rice paper, served with peanut sauce. Crispy wonton with cream cheese, served with sweet chili sauce. Minced chicken with mushrooms, served with lettuce cups. Tofu, mushrooms, and egg in vinegar broth. Egg, corn, and green onions in chicken broth. Tofu, carrots, and lettuce with sweet teriyaki sauce. Sesame-encrusted tuna, spinach, and crispy noodles with vinaigrette sauce. Grilled white fish with lightly spice Cajun seasoning with lettuce, spinach, carrots, cashew nuts, and dry noodles. Steamed Broccoli, Carrots, Snap Peas & Mushrooms. Your choice of sauce from above (sauce on side). Ordering for individuals or families using the same items on our restaurant menu. Ordering for large parties through our catering menu. Each tray feeds 6 people. © 2018 Bamboo Bistro, Austin, TX.